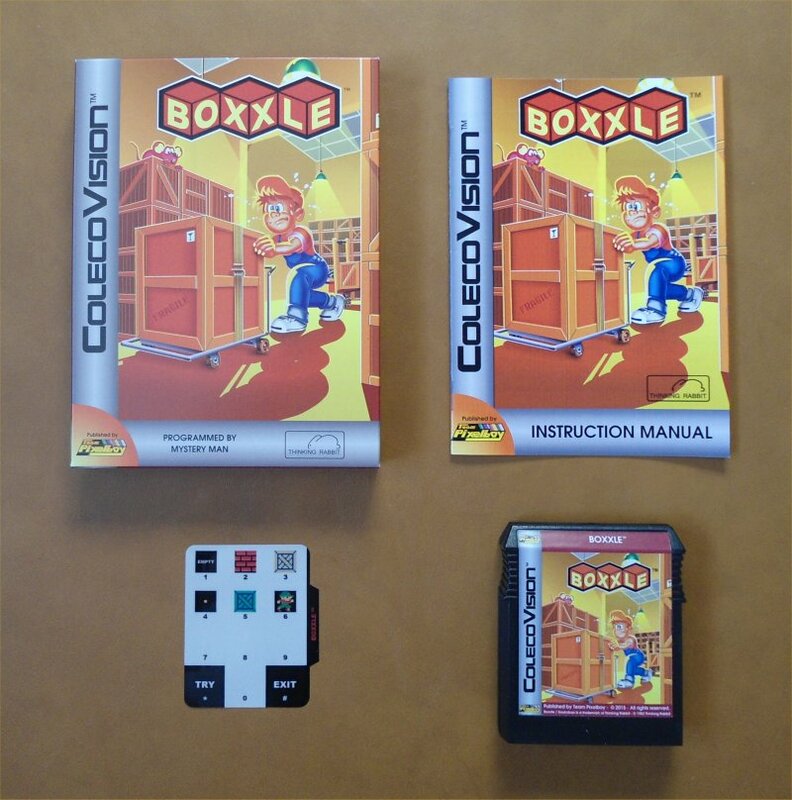 I used to own the original Game Boy version of Boxxle several years ago, and I got so hooked on it that I actually solved every puzzle and finished the game! 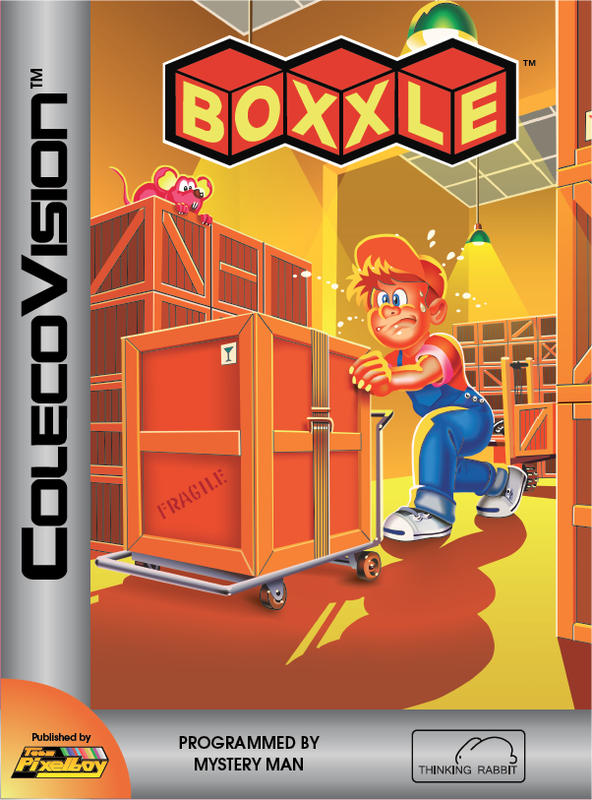 The only reason I didn't buy Boxxle II was because I had more interesting games to play at the time, and I never got around to playing the sequel. 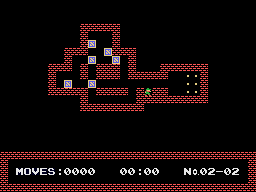 Suffice it to say I love this kind of puzzle game, and I really wanted to see it on the ColecoVision. I could have named it by its original name of Soukoban, but Boxxle sounds better, in my humble opinion. In April 2014, Mystery Man offered me a special gift for my birthday: He offered to program Boxxle from scratch, and to make it a 64K game with EEPROM savegame feature, just like I always wanted! Mystery Man and I worked together over a few months to develop the software. The final product is actually two games in one, because using a 64K ROM allowed us to include all the levels and intermissions from Boxxle and Boxxle II! A level editor is also included, and the player can save up to 30 different level creations on the cartridge! 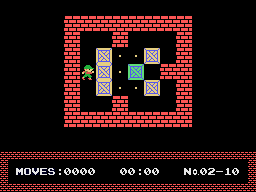 The included EEPROM also allowed us to replace the password system from the Game Boy games with an instant savegame feature that records the best time and lowest number of moves for each completed puzzle, including the puzzles created with the level editor. SPECIAL THANKS: Reinhard Traunmüller, Dan Michaels, Christian Martin, Kendal Mertens, Jim Notini, Andrew Schultz, Albert Yarusso and all AtariAge forum members.